The ongoing publication of Heidegger's complete works has called into question the interpretive and translative practices that have historicized Heidegger's thinking through the adaptation of categories and mind-sets inherited from metaphysics. Ivo De Gennaro argues that the posthumous treatises in particular - many of which have yet to be translated into English - show that the "other onset of thinking" that Being and Time inaugurated and which those historicizing accounts have interpreted and translated away, has already taken place. This book, on the other hand, speaks solely from that other onset, that of being itself. 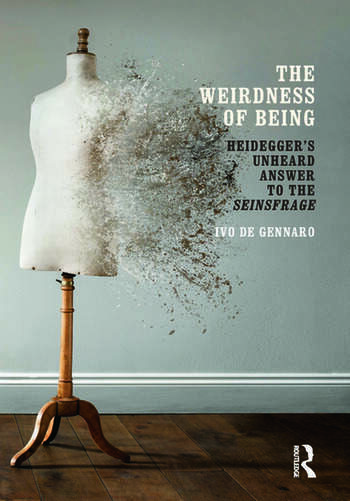 While arguing the "one-pointedness" of Heidegger's entire path of thinking, De Gennaro draws mainly on the posthumous treatises to offer both a provisional exploration of, and an introduction to, a thinking whose sense and implications have barely begun to emerge. This challenging and original interpretation marks an important contribution to Heidegger scholarship.